For the first time, fuel for a nuclear fusion reaction has generated more energy than put into it – a scientific milestone. Scientists and futurists have long dreamed of harnessing the energy of nuclear fusion, which powers the sun, here on Earth. An enormous amount of energy is released when multiple atoms collide and fuse to form a new, heavier atom — such as hydrogen fusing into helium. Hydrogen fuel is plentiful in sources such as seawater and the fusion process generates no radioactive waste, greenhouse gases or other dangerous byproducts. 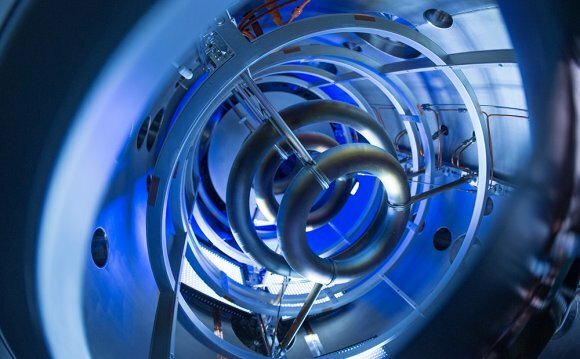 However, for decades, scientists have been unsuccessful in generating the conditions for making fusion happen on Earth in a controlled manner that would allow it to be used in power plants. Now, researchers at the National Ignition Facility of Lawrence Livermore National Laboratory in the U.S. announce that they managed to use lasers to compress fuel made from two heavier forms of hydrogen enough to kick off a nuclear fusion reaction. And for the first time, the reaction managed to generate more energy than was absorbed by the fuel from the lasers. "That's a major turning point in our minds, " said Omar Hurricane, lead author of a paper describing the results, published in Nature today. However, he was quick to point out that because the fuel absorbed only a small amount of the energy from the lasers, there is still far more energy put into the entire process than comes out. That is partly because the fuel did not reach ignition — the point at which the reaction becomes self-sustaining and energy production increases dramatically. Nevertheless, "this is closer than anyone's gotten before, " Hurricane said at a press briefing organized by Nature. Canadian nuclear fusion researchers, who were not involved in the research, said the achievement was a significant step. "I think this is the first indication that the light is at the end of the tunnel, " said Robert Fedosejevs, a nuclear physicist at the University of Alberta who does some of his experiments at Lawrence Livermore. Blair Bromley, chair of the nuclear fusion division of the Canadian Nuclear Society, called the new results "good news" and "significant progress." However Bromley, who works at Atomic Energy of Canada Ltd., noted that the energy yield would have to be increased dramatically to make this approach to nuclear fusion feasible, and even then a lot of engineering work would have to be done to build a practical prototype of a fusion reactor. Making a nuclear fusion reaction happen isn't easy because the atoms in the fuel, consisting of heavier kinds of hydrogen called deuterium and tritium, are typically repelled by each other, Hurricane said. To overcome that, researchers applied very high temperatures and pressures to force the fuel particles to run towards each other. In the past, he said, instead of achieving high pressures, the capsule tended to tear itself apart. The researchers managed to stop that from happening by making subtle changes to the laser pulse. In the recent experiments, a thin layer containing about a millionth of a gram of fuel was coated on the inside of a tiny capsule just two millimetres in diameter. That was dramatically heated and compressed using 192 lasers to almost three times the density at the centre of the sun. The final reaction took place in a tiny "hot spot" about half the width of a human hair over about a ten thousandth of a millionth of a second. It released 17.3 kilojoules – almost double the amount absorbed by the fuel. Bromley said 17.3 kilojoules would power 173 100-watt light bulbs for one second. But it's still far less than the energy put into the laser pulse, which mostly gets reflected or absorbed by the container surrounding the capsule. Hurricane estimated the pressure needs to be doubled in order for the fuel to achieve ignition. And the energy output would need to increase 100 fold in order to be equivalent to the energy put into the whole system - not just the fuel - by the laser. He thinks the energy yield in future experiments could be boosted by a process that's already starting to happen called "bootstrapping." That is where the particles produced by the fusion reaction leave behind energy that heats up and speeds up the reaction of the remaining fuel. Fedosejevs said that while it looks like the researchers have a long way to go, they're actually quite close to the threshold of ignition, where the process will take off on its own. "It's like lighting a fuel with a match. If you get the fuel to ignite you get a lot of energy released, " he said. "If you don't get the fuel to ignite, you don't get very much of it at all. They're just in that transition regime where … you're getting the fuel just to fizzle." He noted that the researchers have been making very fast progress, boosting their energy yields dramatically since last August, when the Lawrence Livermore researchers first announced record energy yields "significantly greater than the energy deposited in the hot spot." He doesn't think the new results will directly affect his research, which is looking at breaking up the single laser pulse into smaller, more energy efficient steps in the ignition process. But he hopes that the closer researchers get to ignition, the more interest there will be in nuclear fusion. "The reason that it's not pursued I think, as aggressively as it should, is that people just don't believe it can be done, " he said. He thinks continuing results like this one and an upcoming demonstration from a competing nuclear fusion ignition technology, set to be built in France in 10 years, could change that.